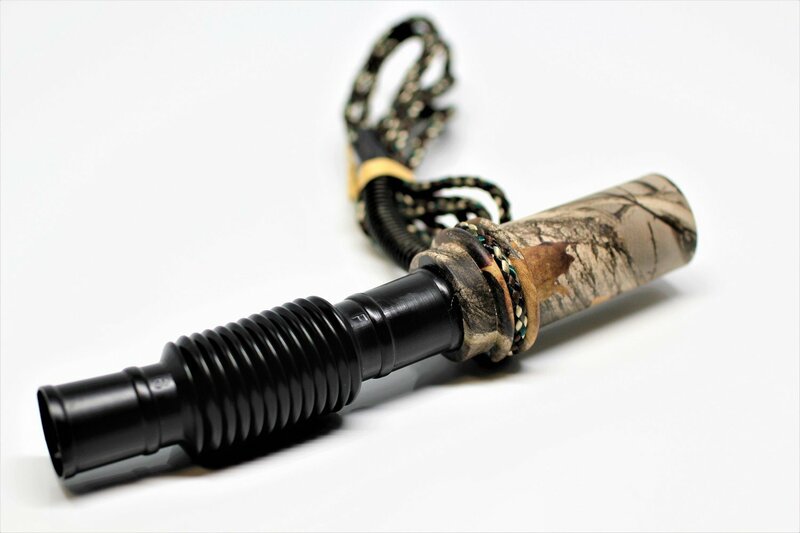 The MK Unique Designs Bear call will deliver the balling sound of a cub bear. Comes with a camo spring lanyard. Imitates the cries and whimpers of cub bear. Can be used with or without the expandable barrel. These calls do work so be aware of your surroundings. Once you start calling, don't stop if you stop the bears will stop coming to the call. So keep blowing until you see a bear!